We woke up early and headed over to the Space Coast races. We headed into the really long line for the porta potties. And we were pushing time. I stress about stuff like this. They announced several times that all half marathon runners needed to be lined up. But we stayed in line and waited it out, said goodbye to Kristin (the marathon started a half hour later) and walked over to get in line. 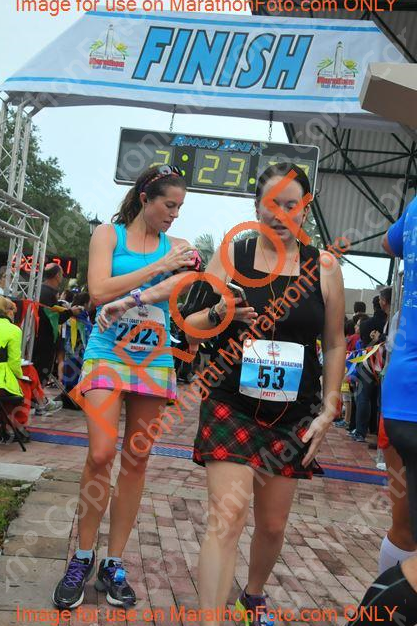 Space Coast doesn't have a proof of time corral system so you just line up according to your pace. I lined up with the 10 minute milers. Soon they were playing the national anthem. The sound system went out and it was so touching to hear everyone just continuing singing. Before I knew it, they had the countdown to launch going off on the big screen (wish it was bigger) and we were off! It was soooo dark running down the road for the first few miles. Like pitch black dark. I'm not sure I've ever run when it was that dark out. I was so afraid that I was going to fall. I wasn't sure how long I was going to run for before starting my intervals. 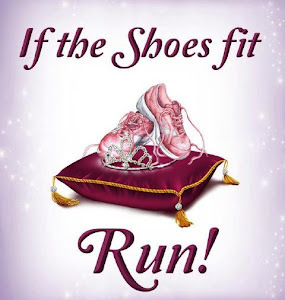 Before my injury, I wanted to run 3 miles then start. But since my knee had flared up the previous Thursday at the Subaru Distance Classic 6k, I only made it a little over a mile before I had to start my intervals. It was pretty running by the river. It was nice to see the sunrise. But for more than the first half of the race, it was always crowded. I did enjoy the guys with the sprayers at the turnaround point. Around mile 8 I got annoyed. 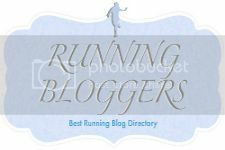 I am a Galloway runner. 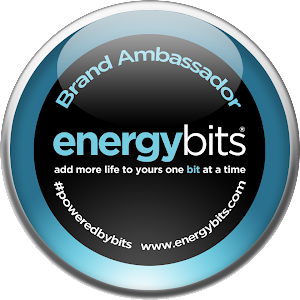 I do run walk intervals of run 2 minutes/walk 1 minute. But I don't quite do them correctly. 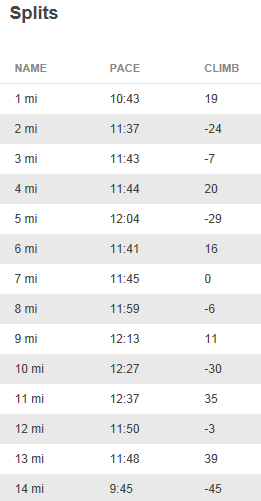 2:1 intervals is supposed to be a 12 minute pace. I go faster than that and hit anywhere from a 10:15 pace to 11:30 (during this race, I only hit over 11 minutes once). 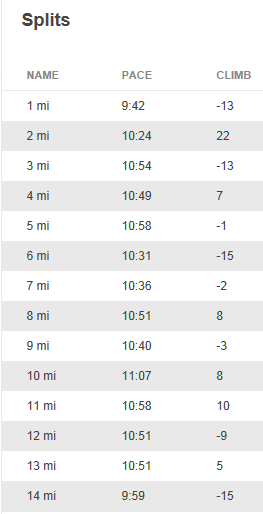 Very rarely do I hit a 12 minute pace (only once I get up into 18ish miles). Well, around mile 8, the 2:15 pace group passed me. Pace groups are fine. When they don't take up THE. ENTIRE. ROAD!!! Seriously--they took up from the edge of the road to the yellow lines in the middle. And since it was an out-and-back course, half marathoners were coming up that other side. So I would pass them on my run intervals, then they would stampede over me during my walk intervals, then I had to dodge in and out during my run. It was such a freaking pain. Unless its a wide course, I usually stay to the right so people can pass me. 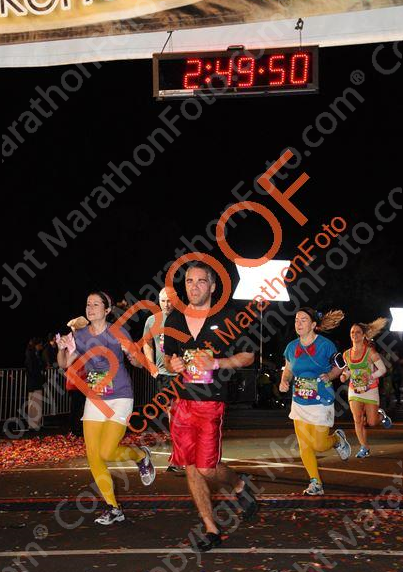 But I had to go run the yellow line the whole time so I could veer into the oncoming side to pass the pace group. I really didn't understand why they could run 2-3 people wide. And then around mile 10, a mini disaster struck. Remember how during the last post I said I was lucky and never had to worry about what I ate before a race? Well, I guess I was wrong. My stomach started hurting--badly. I was not about to stop though. There were very few porta potties and I wasn't going to waste time. But I did not enjoy those last few miles at all. I just wanted it to be over. 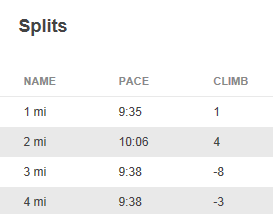 (although at that point, the 2:15 pace group left me behind so at least there was something positive). At the end of the race, you curved around and around on these bricks. I know a lot of people had an issue with the bricks, but I didn't mind that. I minded the around and around part. At the end, I like to sprint the last .2ish miles but I couldn't do that since it wasn't a straight line. But I was happy to be done! I grabbed my towel (what a cool post-race gift!!!) and medal and texted Kris and Jenn to see how they were. I got a little post-race brain. 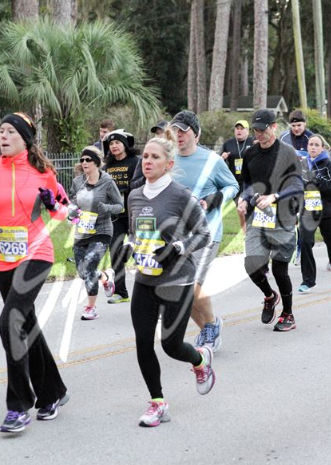 I thought that Kristin had posted that her legs were cramping and she was at mile 12. I knew that the marathon mile 13 was right by where I had just finished so grabbed a banana and booked it to mile 13 to give it to her. So I waited and waited. Finally after 10 minutes, when I knew she should have passed me, I checked my phone again and it turns out it was Jenn! Oops! 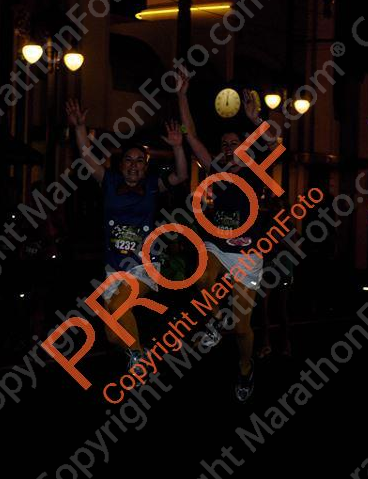 I didn't want to miss her finish her first half, so I raced back to the finish line and caught her just in time!! So proud of her for finishing her first half!!! Jenn and I met up with her hubby and son and Kristin's hubby. We grabbed some post race pancakes and eggs--yum! So good!! 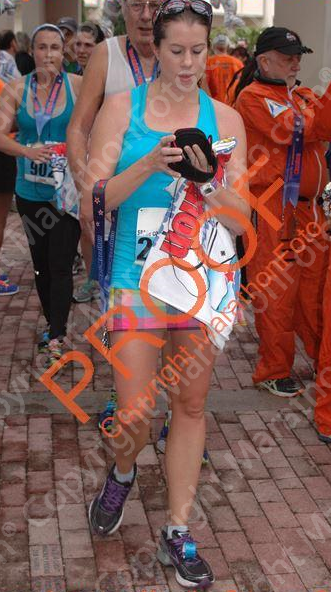 I was freezing at the end so I was thankful I had packed my long sleeve race shirt to put on and I wore my towel like a skirt! We waited for Kristin to finish the full while we continued cheering people on at the end. That was so much fun. 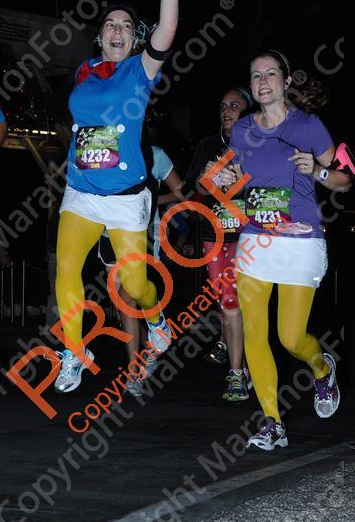 Until we saw the marathon finishers come in and then I got scared. (First let me say, I'm not sure it's so smart to have the marathoners start 30 mins after the half marathoners. Because those really slow half marathoners were getting in the way of the really fast marathoners. 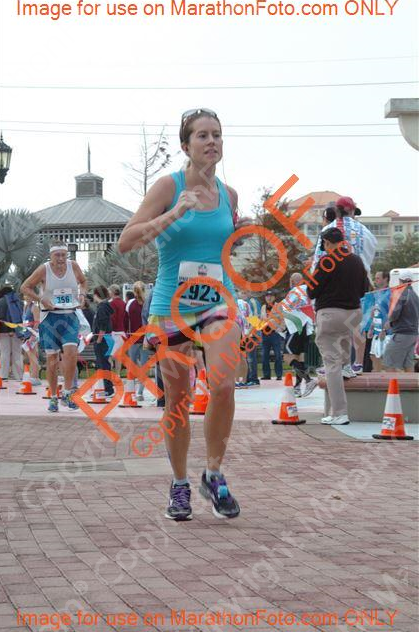 The finish line was really really narrow. And those poor fast marathoners were having to dodge the walking half-marathoners. I would have been so frustrated if I were them.) But anyways, we saw the marathoners come in and there were some that looked like they were in such pain and I was mentally freaking out. I had my first full in six weeks and I was so afraid that was going to be me. I didn't want to be in pain the whole time!! Yay Kristin! She did so awesome! And she looked great when she finished! I was really hoping I'd look that good in six weeks! We took some pictures and then headed out. I caught a ride back with Jenn and her family to the hotel room. And we got stuck while a motorcycle caravan passed by for 40 minutes. Ugh. So frustrating. By the time we got to the hotel room, I just wanted to be home so I skipped the shower (hey, I was just riding home by myself so no one had to smell me!) and headed home. Here are the goodies from the race. My official time was 2:21:31! A PR of 15 minutes and 38 seconds! I was happy with it! I was top third in all results--I was 959th out of 2949 overall, 524th for females out of 2039, and in my division (age and gender) I was 67th out of 260 (so close to top quarter!) Not too shabby! For my splits, I hit 5k at 32:37, 10k at 1:06:24, and 15k at 1:40:19. 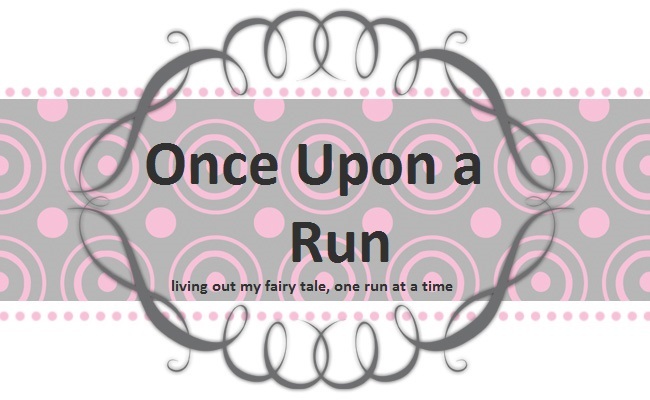 I'm debating on signing up for this race again next year. I mean I would like to run it, for sure! But we're hoping to start a family and unfortunately, they aren't like major races and offer deferrals. So if I sign up and we are pregnant, I'm out $85. But I hate to not sign up and then not be preggers. Decisions, decisions!! 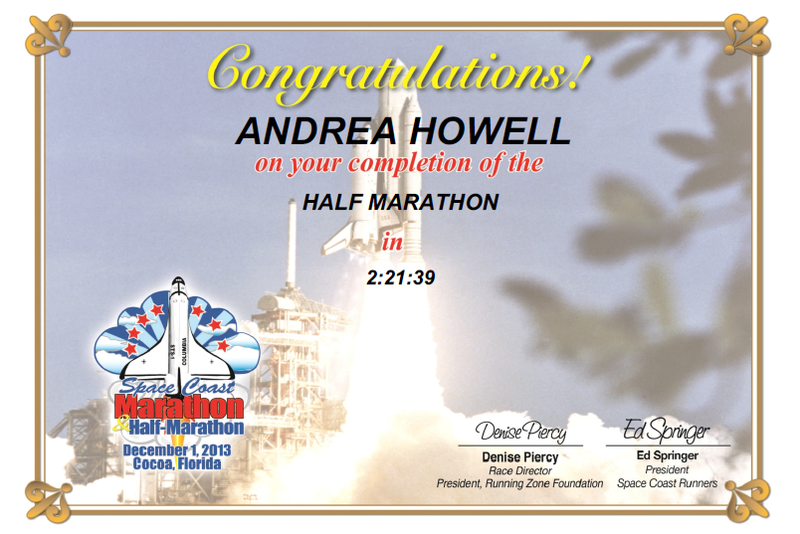 I was so looking forward to running the Space Coast Half Marathon. 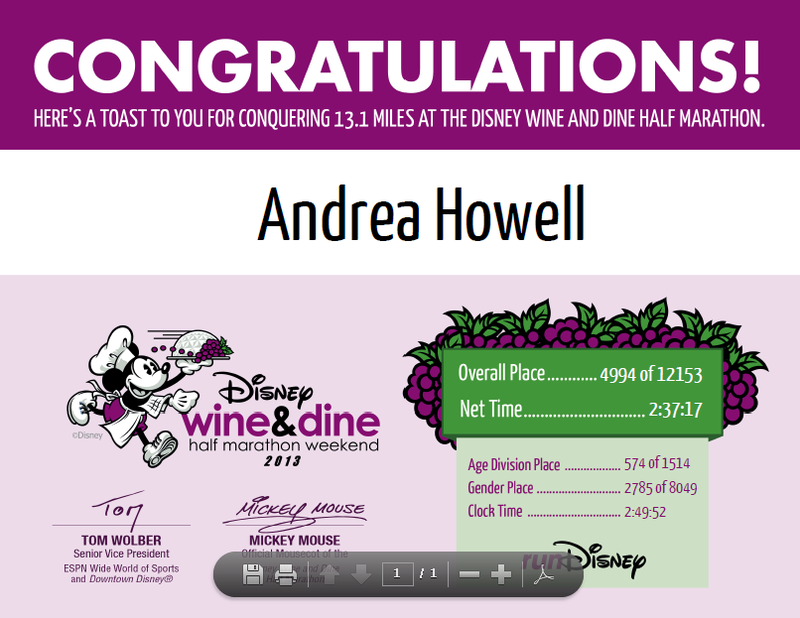 Since the only other half marathon that I had run by myself wasn't 13.1 miles, this would be my next shot to get a PR. I got up early on Saturday and headed to the Kennedy Space Center for the expo. I do have to say that I was a little disappointed by the expo. Maybe because I'm spoiled by Disney ones. But I thought that the space was waaay too small and it was way too crowded. I literally could not walk around without bumping into people. And I thought there would be more vendors. But I picked up my packet and race shirt. (We totally forgot about the moon pies. Luckily Ashley (The Pavement Princess) was able to grab some for us! And I bought another shirt that fit better along with my favorite Gu (Salted Caramel) and Gu Chomps (Peach Tea). I always buy some at expos because for some reason I am afraid that I will forget it on race day. I met Kristin (A Mom on the Run), her hubby and Jenn (Runs With Pugs) on the way out. They were heading in for a minute and then we were all meeting some of their friends at Norman's Raw Bar & Grill a local bar and Gator Viewing Party location to watch the (sad) Gator Game. I have been lucky and never had to worry what I eat before runs. So I had some steamed oysters, bbq wings, fries, and a beer while watching the game. Then we headed to our hotel--the Best Western Cocoa Inn. It was a host hotel (although really, it's a motel) and I'm not sure why. Unfortunately we waited too long to look for our hotel room so this was the only choice. And while not disgusting, it definitely wasn't a place I'd want to stay. (Let's just say that Kris had to keep her water running for a while to get it to be clear). Luckily our room seemed clean enough so I'll keep it at that. We got our outfits ready for the following day then headed out to figure out where we were going the next morning and then had dinner at Carrabbas. I had a pasta with a lemon garlic sauce. Then we headed back to the room and went to bed. Jenn and I chatted for a while and watched some football. It was so great to really get to know her! 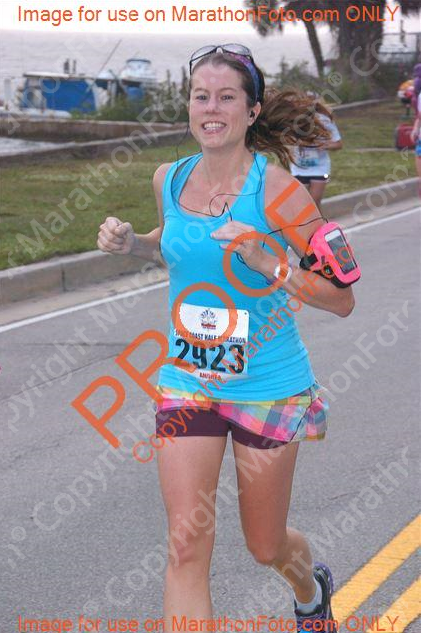 I was excited for the race! Hi all! 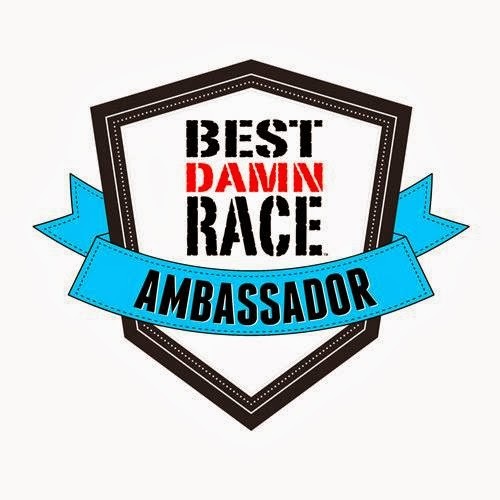 I just entered a contest to win a paid trip to run in the Zooma Napa Valley race! I knew I wanted to run a race on Thanksgiving morning. I read so many people doing it the previous year, so I looked for one up in Jacksonville, where my parents live. I found the Subaru Distance Classic which had a 6k and a half marathon. I knew that I had Space Coast Half Marathon the following Sunday, but I didn't decide which Classic race I wanted to run until last minute. I decided the 6k would be smartest. This is my face when they announced that the start was going to be delayed because of last minute registration. People, it was 34 degrees with a wind chill of 24. IT WAS FREAKING COLD!! A lot of people were not happy and talking about how they should have cut registration off. If people wanted to run, they shouldn't have waited until last minute. While we were waiting for our delayed start, we were told that we were not allowed to walk over the starting mats--we had to jump over them. Apparently they had gotten ice on them and it wasn't safe for us to walk over. Yeah. No one was prepared for the cold apparently. Anyways, the race started and we took off. My original plan was to try to run the whole 6k. I'd never run father than a 5k before starting my intervals but I figured I could do it. WRONG! 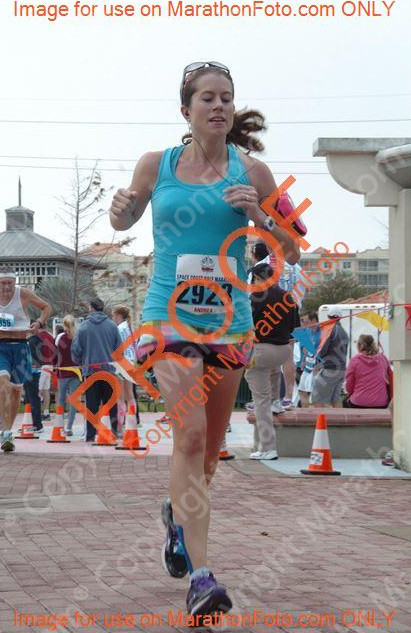 By mile 1 my knee was killing me. And I was so mad about that! The knee pain had finally gone away during my long training runs, but apparently the cold weather brought it back. Gah. But endurance-wise, I was feeling good so I did 3:1s instead of my 2:1s. A 6k is supposed to be 3.72ish miles. My Runkeeper said 3.6. Who knows. All I know is that I was expecting to go 3.7ish and then all of a sudden I turned a corner and the finish line was right there!! So while I wasn't too happy about the cold (I decided that if I lived up north, I wouldn't be a runner), I was really happy about my time!! 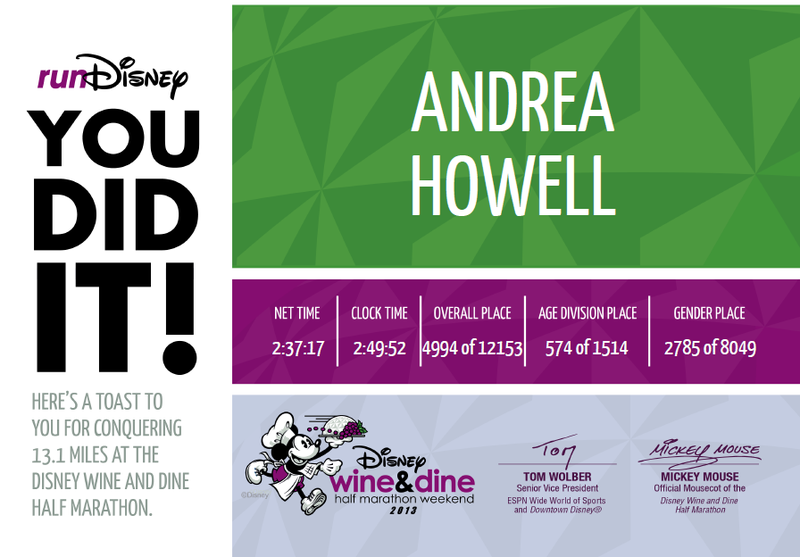 The Wine and Dine Half Marathon was on November 9, 2013. 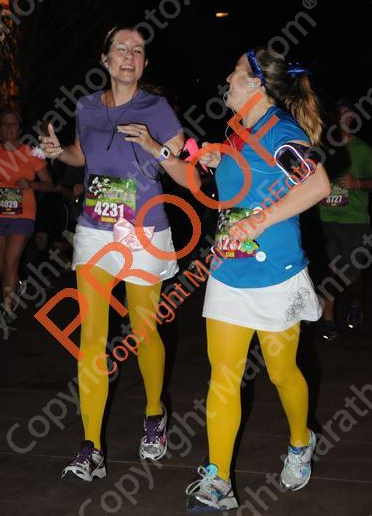 The year before, it was our first half marathon. I remember how nervous we were. This time we were ready to just enjoy it. But first up, one of favorite parts: The expo! I thought the race shirts were cute! 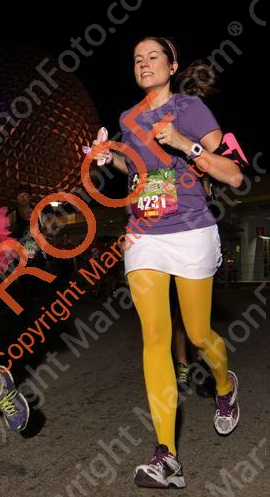 Still didn't like the material or that it was unisex but I wasn't gonna complain since I knew that for my next Disney race, they were starting with gender specific shirts. And now for the bought goodies: This cute New Balance tee to go with our Minnie shoes. And we bought our normal: The I Did It tee, Sweatybands, the vinylmation medal, and the necklace. We found a cute Brooks tee and got our Lasting Commemoratives art card. And of course we found some new Sweatybands! The line for the bus was a lot longer this year but it still went pretty quickly. We met up with Justin (Always Running Forward) for a little bit then met up with Kristin (A Mom on the Run) before we headed into the corral. Before we knew it, the first fireworks went off! I love the new corral system. It seems that the fireworks go off, you walk up some and then they're counting down for the next corral to go. It seems to go so much quicker! Soon it was our turn and we were off! Definitely not as good as last time. And before we knew it, we were done! 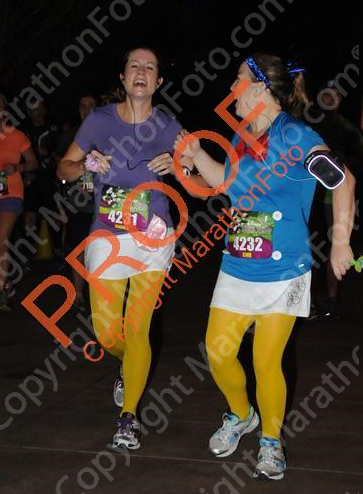 We finished in 2:37:17--a PR of 8 mins and 13 seconds! My knee was hurting pretty bad at the end. They taped it up but it was a bag of chunky ice and the ice on it hurt even more so I took it off. We headed into the drink line which was forever long---way longer than last year. Cori doesn't drink so she skipped it. Or so I thought. She actually had found a spot with a nonexistent line and had somehow grabbed an extra beer along with her soda. So I had two! We headed back to the car to change--so much easier than checking bags and having to change in the bathroom and drag clothes along. And then headed back to Epcot for a little Food & Wine. We saw Justin for a second then headed into the countries to meet up with Kristin and her hubby. And that's when the worst part of the night happened. There's this spot right around where the new Starbucks is where the runners run in the path of where parkgoers walk. So they have this area where they switch the path of runners back and forth to get the people across. I've seen this tons of times and I've never seen a problem. But that night, the cast members were horrible. The backup was insane. You had to cross from one side, to an island in the middle, to the other side. But the cast members weren't effective. Instead of switching every time the island got full, they were holding the runners for way too long--we were stuck in a crowded small area for about 25 minutes. Not good for the legs of just finished runners. And people were nauseated. We even saw one person faint. It just wasn't smart and hopefully won't be a problem next year. Anyways, we met up with Kristin and Adam and grabbed food in Italy. I had the lasagna and it was so good. By that time we were tired and pretty cranky from the earlier issue so we all decided to just head home. Still, we had a blast at the race! My official time was 2:37:27. I was 4994 out of 12153 overall. Top half...not bad. I was 2785 out of 8049 for gender. Top half again. And then 574 out of 1514 for division so top half there too.